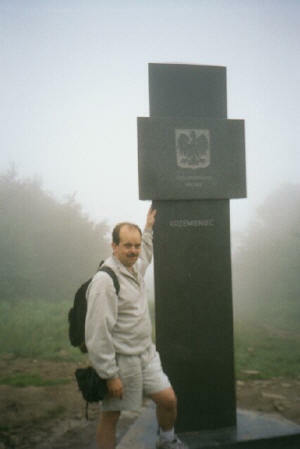 Bill Tarkulich has been actively researching the region of North-Eastern Slovakia since 1998. 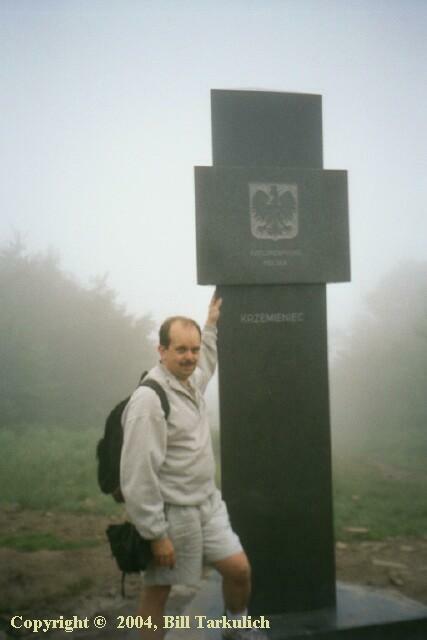 His quest escalated in 1999 upon the passing of his father, Michael, who was the son of Rusyn immigrants. As with so many Americans, the family history was filled with great voids of information. Bill started his research with very little information, no birthplace, no country, no immigration information, no family records. There was also no clear understanding of the ethnicity or religion of his grandparents. All he had to go on was some sounded-out place-names "Za-boy-ah", "Car-potty", "Ga-lick-see-ah" and a few glancing comments, "we were just hill people from the mountains." Through the selective use of US government documents, he was able to identify the names of their villages and then determine which country. After this, he discovered the Mormon's holdings, which included the village church books. You can imagine the feeling the first time the church books were opened and he saw his family surname in 200-year-old records for the first time. Nearly a spiritual experience. The next step on the journey was carefully crafting a "blind letter" to people in the communities of Slovakia with his surnames. With the help of a priest to translate, he sent the letter off, shortly after Thanksgiving, 1999. To his delight and surprise, in January, 2000 he received two replies which were the start of a wonderful series of correspondence. In the year 2001, Bill and his sister had the privilege to visit his ancestral homeland, visiting for two weeks with new-found cousins in Zboj, Nova Sedlica, Ulic, Snina, Kosice and Bratislava. He visited our ancestral churches which had been moved to Skanzens (open-air museums) at Humenne and Bardejovske Kupele. Bill was able to confirm his Rusyn ethnicity and Greek Catholic heritage. Bills' appetite for historical knowledge of this area remains high. There is very little English-language information on this region. He has spent a tremendous amount of time locating, translating and publishing information on this ignored region of the world. Bills' research interest includes most of the settlements of northeast Slovakia from Humenne to the Ukraine and Poland borderland villages. Bills' second desire is to promulgate as much of this information as possible, especially to family researchers with roots in this region. To this end, he extended the "strategies" web site to include English-language based information about the region and its villages in order to bring people together. Current projects include compiling and publishing on this web unique information about the small villages in this region, which until now have had no English-language venue. 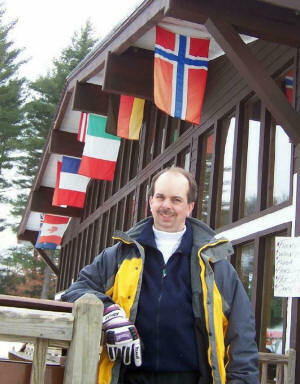 He is also working on compiling a brief history of the region for genealogical researchers. The history includes borderland events. Bill also spends much time learning about the World War II Soviet "eastern front", and the post-war communist regime, in which Slovakia played a big part, but is largely ignored by the west. 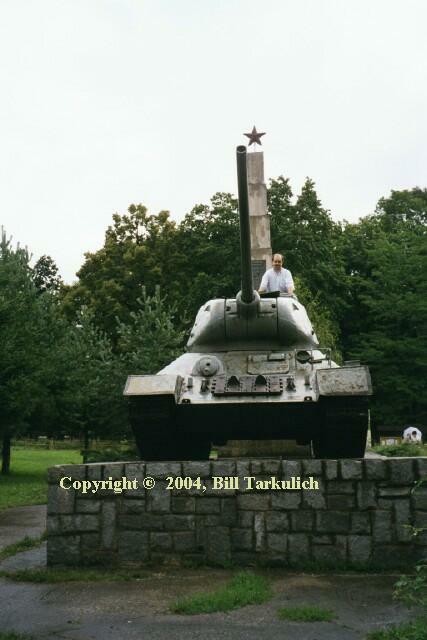 Much of this information has been locked up either by the Communist governments or by language barriers. Bill strives to break down some of those walls, so we can have a better understanding of the history of our ancestral lands, up through modern times. An unavoidable fact of life is that his day job does interfere with genealogical activities. He is a 31-year veteran of the computer industry, with a focus on Product Planning and Management. He hold an undergraduate degree in Electrical Engineering and a graduate degree in Business Administration. In his spare time he enjoys snow skiing and ocean sailing. His marriage is blessed with three lovely daughters. I do this because it's fun. It was fun to discover my heritage, buried away for fifty years. It's fun to share what I've learned with others. It's like digging for the gold you know is down there somewhere, but with the knowledge that in most cases, a researcher can dig it all out if they are willing to devote the time and persistence. Admittedly, I started this site because I grew tired of writing the same answers over and over again on discussion boards. The reward comes with the regular "thank yous" I privately receive (or posted on the guest book) from researchers who have discovered, and in many cases, reconnected with their ancestral heritage. The reward come from the little gems of knowledge that come from each researcher. We build on each other's knowledge and success. I learn from you. This site would not be so large and interconnected without the knowledge sharing that we all do. I take no payment, I post no bills, no advertisements, no pop-up solicitations. I fund and maintain this web site entirely out of my own pocket. To do so would distract from the mission of this site - the promulgation of knowledge and insight into our homelands. While this site is geared towards English-speakers, nearly 10% of all visitors are from Slovakia. This "hobby" of mine has collected enough facts and insight to write a book or two. But, I aim to keep it fun for me. That means, all the meat is in here, somewhere. I was originally inspired by Walter Maksimovich, who is the visionary behind www.lemko.org. Admittedly, like Walters site, this site may be a bit disorganized, especially with new information flowing in every month. I review my guidance monthly in light of new resources that arise and old resources that retire. I do my best to keep the links up-to date, lest this site becomes a useless dinosaur. I've learned to keep spammers at bay. I will admit one matter of intolerance - the "cherry picker". That's the person that drops down, tries to harvest all they can in a week or two, and get others to do their work for them. For them, a professional genealogist is happy to take their money and follow the strategies described on these pages. My passion is to teach others how to do their own research. For that essential reason, I do not and will not do research for others. I don't see how anyone can make a living out of this work, so I chose to share what I know instead. Not to say I won't talk to you. I always respond to questions about strategy, process and next steps. I'll gladly look up things in hard-copy books that I may own. I'll peel my eyes back to help you understand what little nugget you just dug up, put it into context. Webs come and webs go. These pages have been online since about the year 2000 and new material is added monthly. How long will these pages remain on the web? As long as I breath the air on this earth and my checkbook pays the bill. Thank you for reading. Please review the strategy page. This will put the entire process into perspective. None of this is difficult - it takes time, patience and persistence. Nova Sedlica, Slovakia - Maria Dzuba, Grandmother, born 1886. Wetlina, Poland - Pal Dziuba - Great Grandfather, born about 1850. Scranton/Dunmore, Pennsylvania, USA - The original immigrant settlement. Corning, Binghamton, Syracuse, Rochester, New York, USA - Various places and residence of his ancestral family. Photos - 1) Author atop Kremenec, the geographic peak along the Carpathian Mountain ridge, where Slovakia, Poland and Ukraine converge, 2) Third cousins: Bill Tarkulich and Ladislav Tarkulič, 2001, Zboj, Slovakia (These scythes were still in regular use by our 81-year old Babka in 2001 and are sharp enough to cut skin.) 3) War Memorial to Soviet liberators in Stakcín, Slovakia.